Unfortunately, air pollution is doing terrible things to our health. One of those things is the unexplained, annoying cough that comes with strangely dark phlegm. 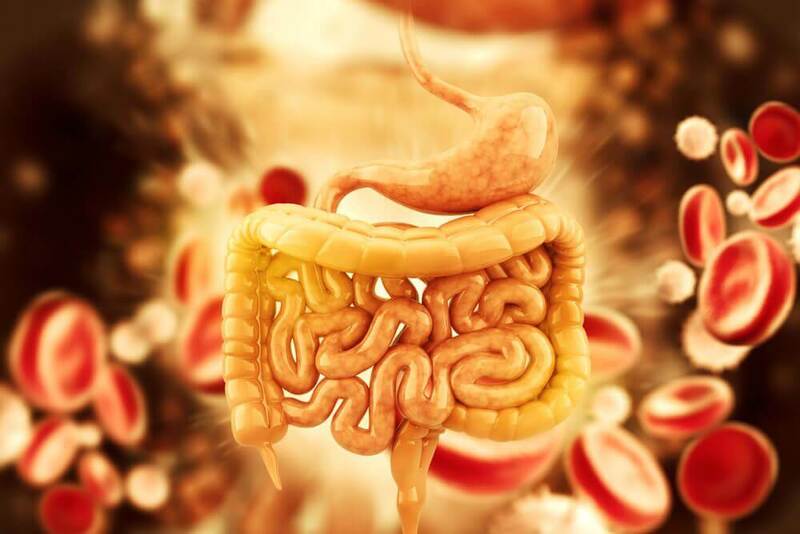 Both are actually a result of your body reacting to something it considers to be invasive. It produces fluids and spasms in the form of a cough as a way to protect the body. It’s basically trying to keep the dust and contaminants away from harming you. Coughs also come with colds, of course. 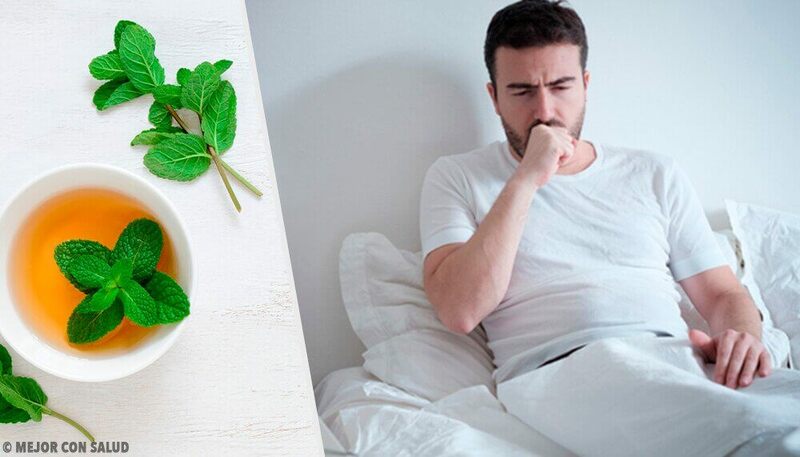 Changes in temperature, a weakened immune system, a virus… No matter what’s causing your cough, there is a solution. 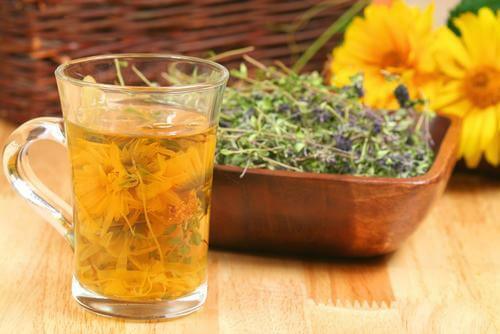 Here are 5 remarkably effective teas for a cough. 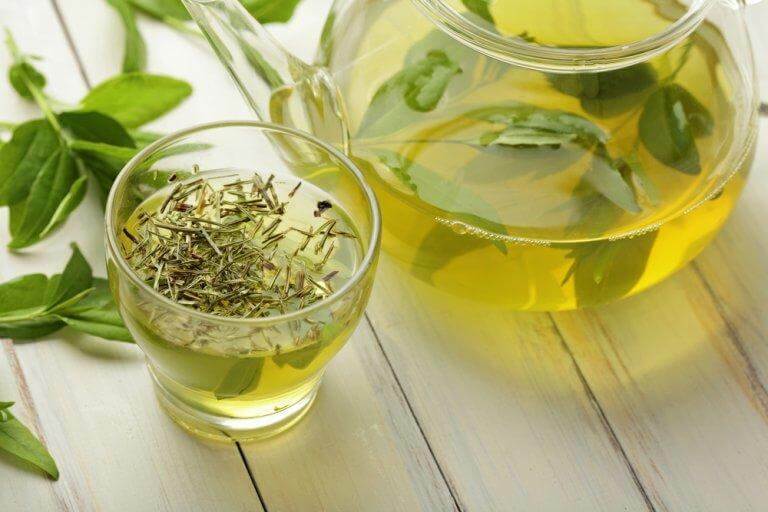 Singers and other people who use their voice in their profession love thyme tea. It’s not surprising, really, because the herb is very good for your vocal tract and lungs. It’s also a powerful anti-inflammatory. So besides relieving pain, it will also attack the problem at its root and help you heal. In fact, it basically acts as a natural antibacterial medication, so if a microbe is causing your cough, thyme will knock it out. Like we’ve said in many other occasions, lemon is an extremely effective antibiotic. However, its acidity may be too harsh to apply directly to a sore throat. That’s why we found an ally to counteract the acidity: honey. 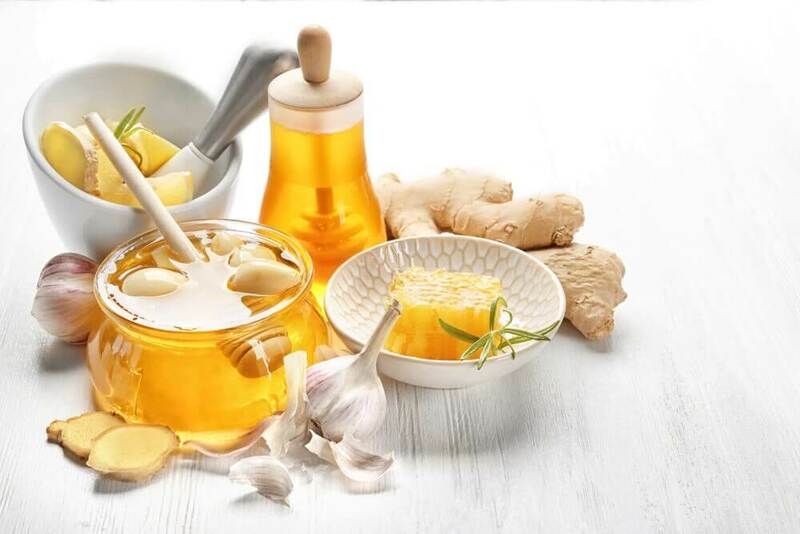 Honey will reduce the burning and also has an incredible ability to kill bacteria. In addition, it forms a protective barrier. As for cinnamon, it’s good at breaking up mucus. 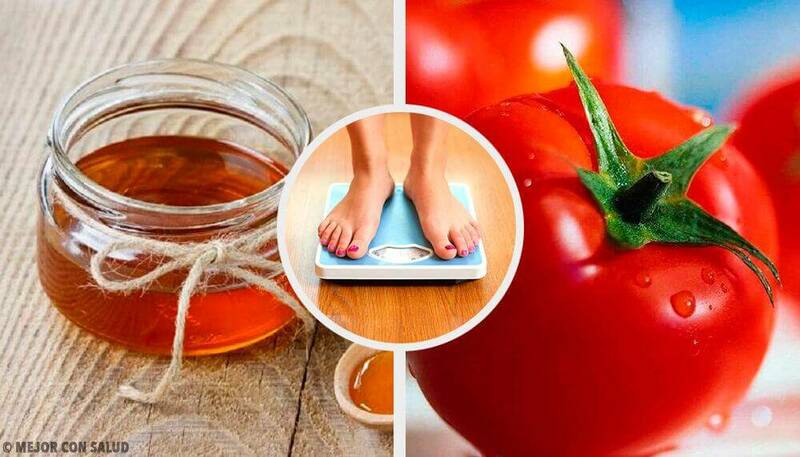 At the same time, it enhances the properties of the other two ingredients. 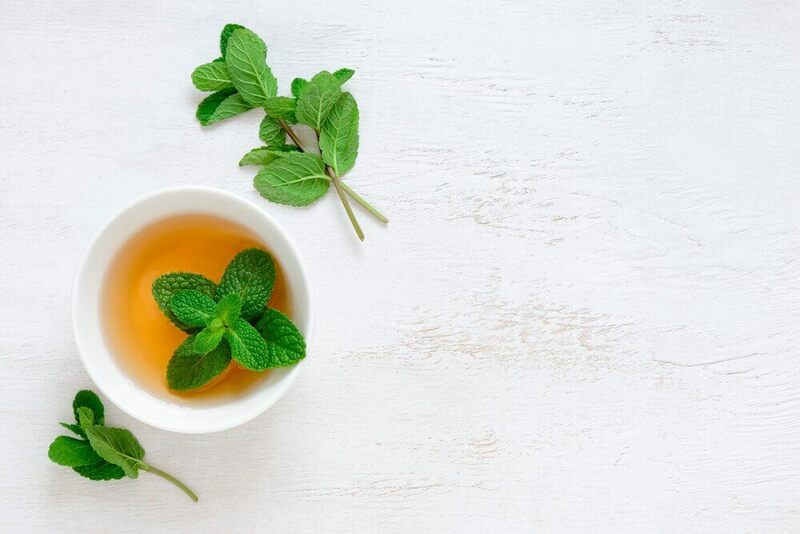 If we’re talking about teas that treat a cough, mint tea is one of the best, especially when you’re having trouble breathing comfortably. Why? Because it works well at breaking up phlegm. Sometimes your breathing is hard because the mucus is too thick. In other words, it’s hard to expel, so it sticks to your airways. 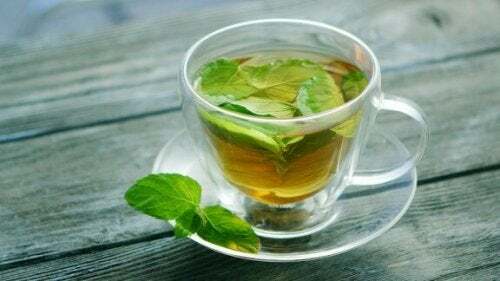 Mint tea can also reduce inflammation and fight infection. However, if you want to make the most out of it, add a cinnamon stick. Those who don’t deal with allergies think that it’s just sneezing and rashes. However, there are all kinds of symptoms, one of which is a cough. Well, if you have a cough because of allergies, try rooibos tea with lemon. The tea is a fantastic antihistamine. 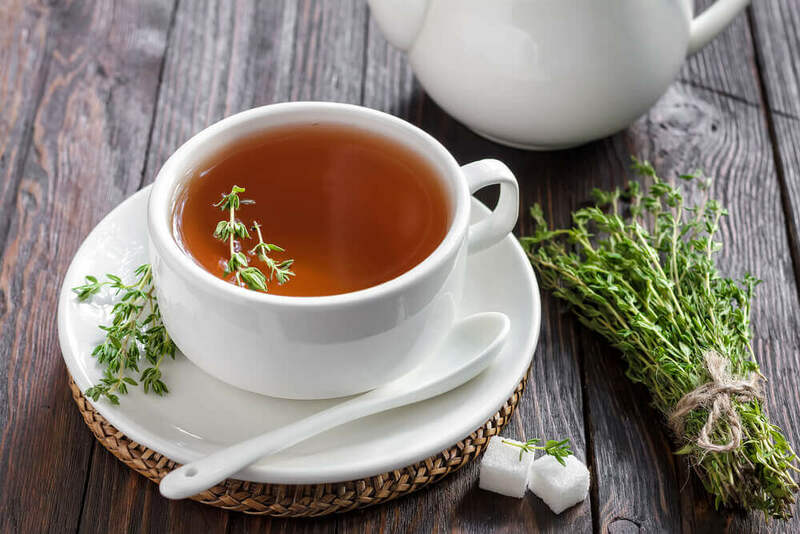 Rooibos is also high in certain minerals that will strengthen your immune system, making it good if your cough is from a cold or the flu as well. The previous teas for a cough all taste pretty good. However, ginger is too spicy for some people, especially in tea form. We still recommend giving it a chance, because it’s good for you in so many ways. Here, its anti-inflammatory powers are the star. It will help you get better more quickly, and send your pain packing sooner too. Like with the other teas, ginger tea helps break up mucus. Therefore, it helps you heal from the inside out, which is important for treating a cough. 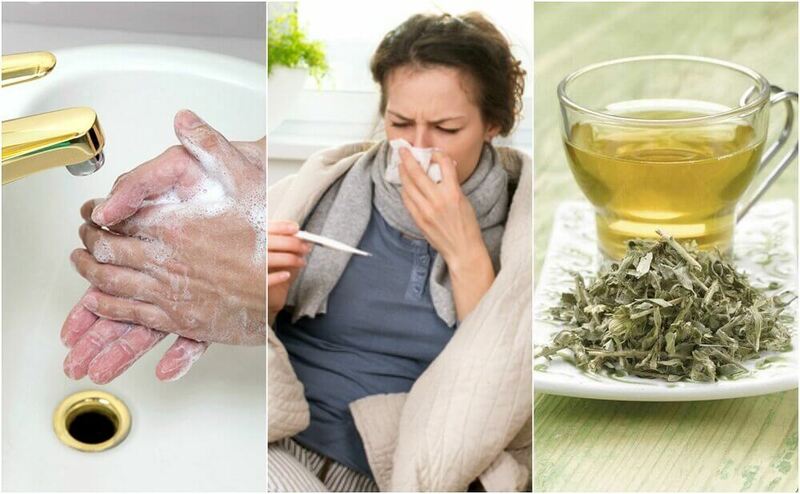 Any of the teas for a cough on our list are good for both chronic and temporary cases. They don’t have side effects, unless you are allergic. One good idea is to carry your tea with you in a thermos so you can sip on it throughout the day.